Another Elegant piece in the Lemondrop Collection. 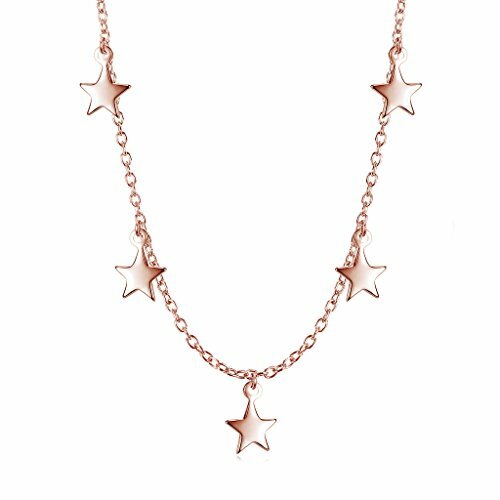 A hand made dainty choker necklace with 5 dangling stars, crafted from solid 925 sterling silver, available in your choice of three flashed finishes: rhodium, 14k yellow gold, and rose gold. Comes packaged in a custom LEMONDROP jewelry box, ready for gift giving. STYLE: Choker style necklace with 5 dangling star charms on a sterling silver cable chain in either yellow gold flashed, rose gold flashed or rhodium flashed finish. 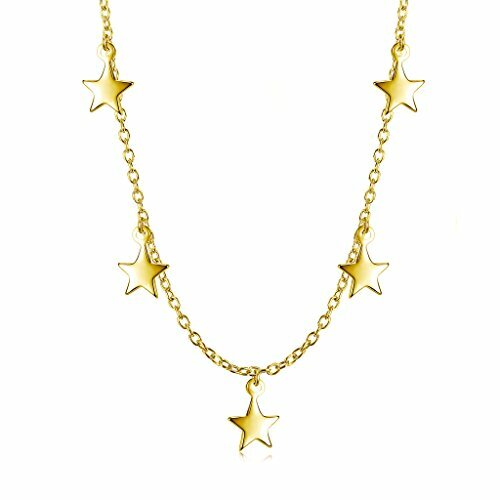 MEASUREMENTS: The chain measures 13" with a 2" extender and the small star pendants are approximately 4mm each. QUALITY: Guaranteed .925 Sterling Silver. This is not the fake stuff that will irritate your skin or turn colors after a few weeks of wear! 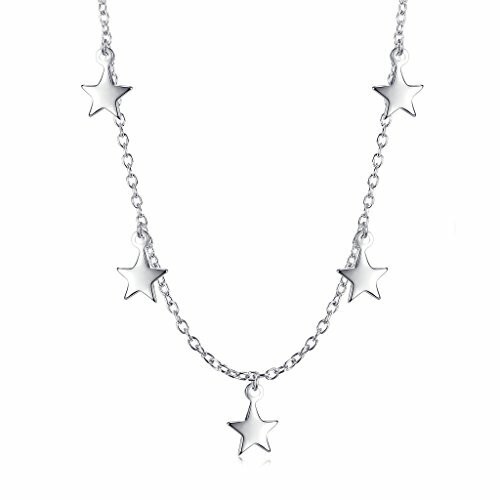 FINISH: Crafted in either yellow gold or rhodium over 925 sterling silver. Rhodium is a precious metal similar in appearance to white gold and does not tarnish or oxidize. Stamped with .925 to ensure authenticity. PACKAGING: Comes packaged in a custom LEMONDROP jewelry box, ready for gifting. Perfect gift for birthday, Christmas, stocking stuffers, graduation, Valentine's Day, Easter, Mother's Day and any other holiday or celebration.